It’s not easy to say goodbye to your cherished dog or cat, even those that have lived long and happy lives. Although you may hate the thought of life without your pet, pet euthanasia at home can be the kindest decision you can make when your pet can no longer have the quality of life they deserve. Before the process begins, you will need to decide if you want to stay with your pet. Some people find comfort in being with their pets in their final minutes and many vets allow and encourage dog owners to be with their pets through the euthanasia process. 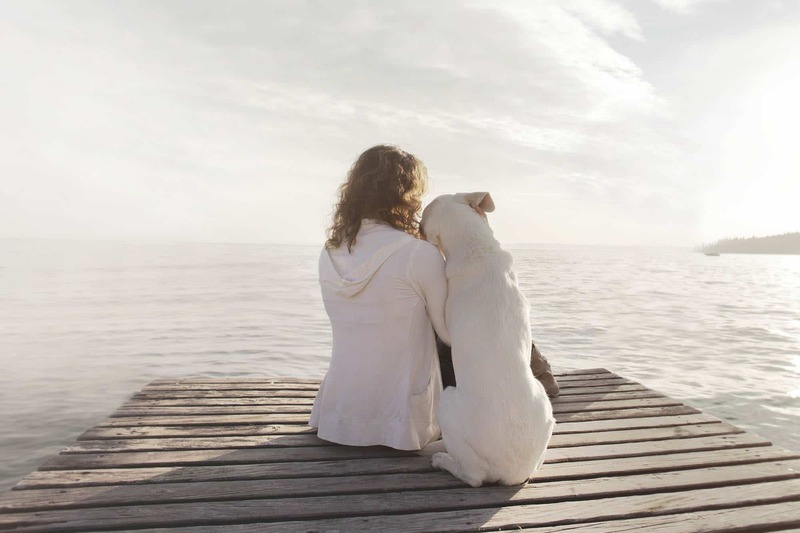 While it may be difficult for you, accompanying your beloved pet to the very end can provide you both with comfort and closure. Your pet’s comfort is the primary concern during the euthanasia process. The euthanasia injection is a larger dose of an anaesthetic injection so besides the initial prick of a needle or catheter, they will simply fall unconscious before drifting away. Your vet will give you some time with your pet after the procedure as we know putting a pet down is an extremely emotional decision. We understand that everyone may have varying preferences on aftercare and Pawssum offers several options to make this process as easy as possible for you. Our customer service team can assist to talk you through all the different options available. We all understand that this is a difficult process if this decision is made. We are here to make your experience as convenient and seamless as possible. Pain that cannot be controlled with medication. In many cases, pets can continue to enjoy life if their pain is relieved by medications. When medication no longer helps, it may be the right time for euthanasia. If you have difficulty gauging the pain level, ask our veterinarians for input. Constant gastrointestinal issues. As your pet becomes sicker, vomiting and diarrhoea can become daily occurrences. Not surprisingly, these issues can cause your furry friend to lose weight and become dehydrated and lethargic. Prognosis. Talk to our veterinarians about his or her prognosis. In some cases, even aggressive treatment will not save your companion, but will prolong suffering. When your pet’s prognosis is poor, euthanasia can prevent unnecessary suffering. Incontinence. At some point, a seriously ill pet may no longer to control its bladder or bowels. Inability to walk. As your pet becomes weaker, walking can become an issue. Mobility can also be an issue if a stroke or other condition affects your pet’s hind legs. Slings can help older pets get up and navigate short distances and specially designed wheelchairs can help pets with limb immobility and may be a good choice if your dog is in otherwise good health – be sure to ask our vets about options. Including all members of your household in the decision can prevent hurt feelings during an already emotional time. Explain that your pet will not recover from the illness or condition and is suffering, despite the excellent care you have provided. Even younger children can be involved in the discussion if you use age appropriate language. Although immediate euthanasia may be needed to prevent suffering in severe circumstances, the procedure can be delayed long enough to allow enough time for everyone who cares about your pet to say goodbye in most situations. It is also important to let other pets in the household to smell your pet after they have passed away – it is their way of saying goodbye too. After you make your decision, you can proceed to book your at-home pet euthanasia with Pawssum. One of our trusted and compassionate vets will contact you to walk you through the process, options and answer any questions you have. Our at home peaceful euthanasia service allows the pet to be attended to in an environment where they feel safe and loved. Our vets are all lovely and very compassionate which is very important to us. We get fantastic feedback from customers that this service helped them during a very hard time. If we are given 24 hours notice that is fantastic, however we realise sometimes this can not be the case. We will always try to get to you when you need us however we can obviously never promise anything until we receive the booking and confirm it with the vets.